Maple flooring is an ideal choice for a light and airy room. It provides a bright and clean appearance that is easy to decorate around. Yet it needs to be installed with care. 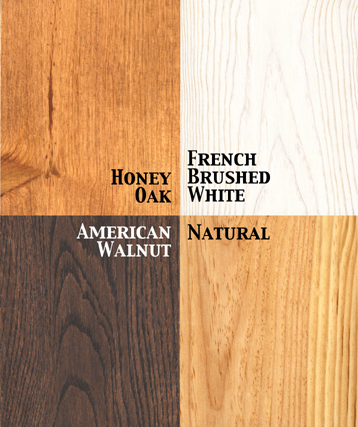 Maple flooring is less stable than the more widespread oak and pine, being more susceptible to humidity. 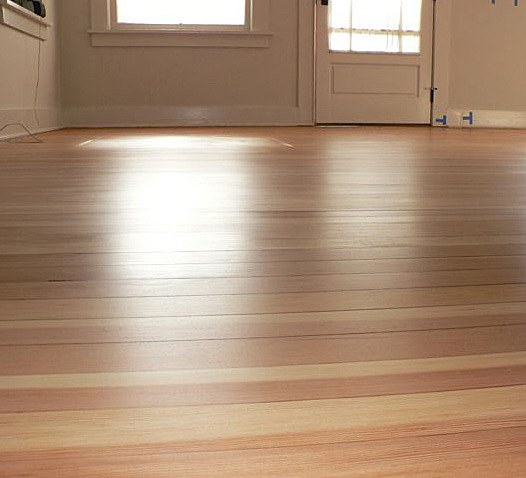 Old, tired or damaged maple floors can be stained and finished. But such work presents challenges not present in other timber types. These can include sandpaper lines, wavy grain appearance, stains not taking uniformly - and uneven sheens. So when choosing a floor finishing firm, make sure you look for an experienced company who know the differences between the floor types - and how to deal with them. Small imperfections in sanding - and careless application of stains and finishes tend to show up all too clearly on dense, light-coloured woods such as maple. Sanding Wood Floors are a family company who have sanded and restored hundreds of floors over the past twenty years.We will provide the best advice for the treatment of your floor - whether it is located in a domestic or commercial setting. The secret of producing a great finish on maple is a careful and meticulous sanding job - followed by the application of thin, uniform coats of sealant, with sufficient drying time between each coat. It is also vital to provide an adequate number of sandings. Cutting down to save time and money is never a good approach. The lines from the previous sandpaper grade always show up in the final finish coat with a ‘washboard’ effect. Woods with an open, porous grain, such as oak, can hide such small imperfections, but they stand out on maple and other dense woods. It is vital to avoid debris in the finish. The density of the wood and its light colour tend to show even the smallest amount of dirt or dust. 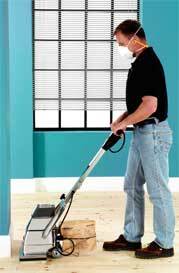 We will vacuum not only the floor but all skirting boards, window sills and adjoining areas. Then vacuum the floor for a second time. We also ensure all our workclothes and shoes are dust free. Any areas of adjacent carpeting will be covered with a sheet to avoid stirring up carpet fibres. dense grain does not allow the penetration of most pigments. It is difficult to achieve a uniform stain, with the appearance suggesting the stain was not applied evenly. One way around this is to reduce the coloured stains with a natural stain. Any screen marks will be less noticeable and the stain will appear to be more uniform. Modern water-borne lacquers are versatile and completely safe. They are applied in multiple coats. The deeper each layer of sealant penetrates and the longer it is allowed to dry before abrading, the flatter and more level the floor will look. 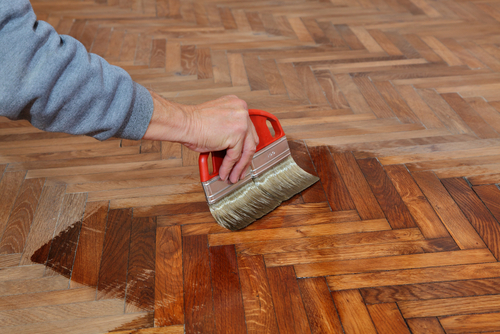 Between coats, we treat the surface to a very fine sanding. If we need to get down on our hands and needs for the best job - so be it! Maple is noted for its problems with low-sheen finishes, such as satin or matt. 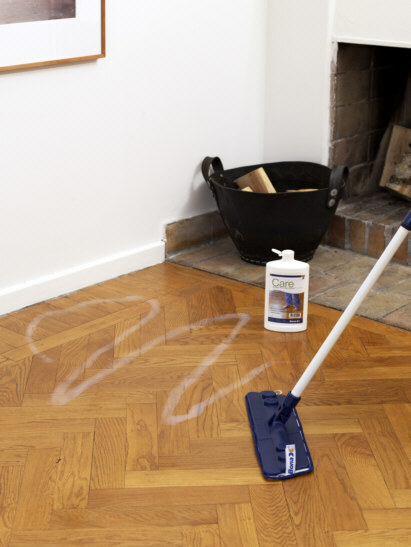 Uneven coating can show up as shiny streaks or spots on a finished floor. The flatter and smoother a dense wooden floor becomes, the more critical the application of each finish coat. Semigloss or gloss usually give a better finish. Ask us today for your free assessment. We will advise you on the most appropriate procedures to suit your floor. 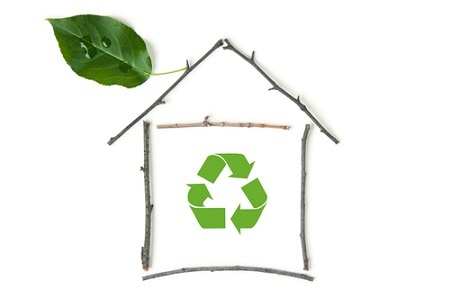 And prepare a restoration package to suit your budget.